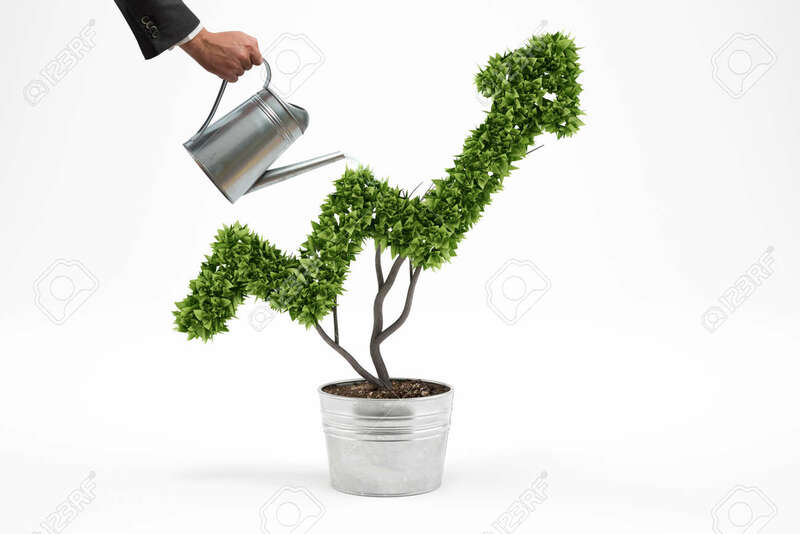 Businessman Watering A Plant That Grows Like An Arrow . 3D Rendering Stock Photo, Picture And Royalty Free Image. Image 73148993.